KwangMong Siblings: Find Lee Kwang-soo and Song Ji-hyo’s Exciting Moments on ‘Running Man’! Lee Kwang-Soo is a model, actor and host from South Korea. He made his debut as an artist in 2008 with a role in the sitcom Here He Comes, and then continued with the drama High Kick Through The Roof. In 2010 he joined the SBS Good Sunday variety program Running Man, which increased his popularity as he held the event. In 2012, he starred in the South Korean romantic comedies Wonderful Radio and All About My Wife, as well as the thriller The Scent. And in the same year, he was reunited with Song Joong Ki, who was a former performer on Running Man. 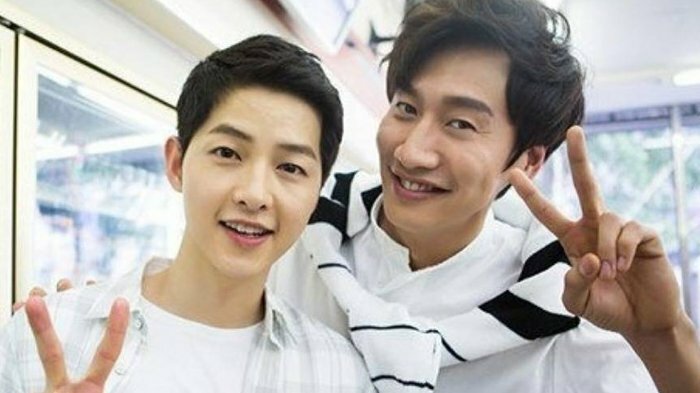 Later in 2016, Lee also made a cameo appearance in the first episode of the KBS’s hit series Descendants of the Sun, where his old friend Song Joong Ki played. In the same year (2016), Lee played a role in the tvN series Entourage, a South Korean remake of the American series. He later played a role in the KBS’s sitcom The Sound of Your Heart, based on the webtoon The Sound of Your Heart. Lee has been confirmed of playing a new character in the comedy action film The Accidental Detective 2, a sequel to 2015 hit The Accidental Detective, which is scheduled to be aired in 2018. Who’s Doesn’t Known Song Ji-hyo? Song Ji-hyo (Cheon Soo-Yeon) whose real name is Cheon Seong-Im, is an artist, celebrity and host whose name is familiar. Before starting her career as an artist, she had been a magazine model since 2005. In 2006, Song Ji-hyo started to gain fame for her role in the MBC’s romantic comedy series Princess Hours, where she portrayed the role of a ballet dancer who had a dream of becoming a famous ballerina. Song was also the weekly music host for SBS’s Inkigayo, with Super Junior’s Kim Heechul from 11 November 2007 to 4 May 2008. Same as Lee Kwang-Soo, Song Ji-hyo also joined the variety program Running man in 2010, and remains still a part of the show (2018). In 2016, Song played with Taiwanese actor Chen Bolin in the reality-variety program We Are In Love, a Chinese version of We Got Married. She then made a comeback on the small screens in 2016, starring in the remake of the Japanese television series My Wife’s Having an Affair this week, with Lee Sun-kyun. Lee Kwang-soo and Song Ji-hyo’s Exciting Moments on Running Man! Lee Kwang-Soo and Song Ji-hyo were joined in the variety show Running Man in 2010. Both of them look were so close and very good friends that many people thought they have a relationship or have gotten married. Because they were very chummy with each other, they were called the ‘Kwangmong’ Siblings. Many of their moments in Running man still remain unforgettable for people, for instance: funny moments, being sweet in their bad moments, etc. Here are some of their exciting moments!